Review: 2DeepSoul are the core crew behind Inner Shift music, so as you might expect they've got a keen instinct for the finest strains of pure deep house as you'd happily dig from the likes of Patrice Scott or Fred P. They open up the Windows EP with the dreamy haze of "Clarity" before "Contour Lines" brings a pulsing, techy lead into the mixture of sweeping pads and snappy beats. "Someday" is a rich, harmonious ambient excursion, and then "It's A Sign" finishes the EP off with a truly meditative trip for the smoothest deep house cruisers to lock onto. 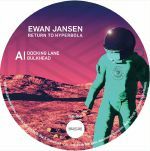 Review: Having recently resurfaced via his Red Ember label and a further run of essential releases on Going Good, Hardworksoftdrink and many more, Ewan Jansen is in fine fettle now as he shores up to Inner Shift with some high class house music for the heads. "Docking Lane" is as deep as they get, but that doesn't come at the cost of the beat which strides forth with purpose underneath the hum of the pads. "Bulkhead" gets a classic Latin drum machine vibe going, "Deceleration" takes things lighter and sparser, and then "Perspex" finishes the EP off with some warm, funky fare. 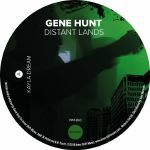 Throughout the EP, Jansen's link to the formative years of deep house shine through - this is the sound of someone who knows what they're doing.